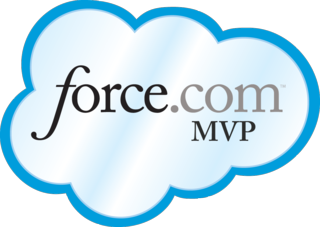 Recently I was tasked with migrating approximately 550,000 lines of APEX code from a Salesforce Sandbox to a Production Org. Not a small task. Development on the code base had started about 18 months ago and was full of fun business logic instituted via APEX and regular Validation Rules. Not necessarily a “fun” package to deploy via the common UI tools. This push consisted of hundreds of classes, pages, triggers, static resources, page layouts, profiles, tabs, and custom links. Absolutely doable for Eclipse and Change Sets, but because we didn’t have two weeks to build the Change Set and didn’t want to continually re-select the components via Eclipse, I set out to see how native ANT would fit the need. Typically, the code pushes I do consist of deploying via Eclipse or more recently taking the time to build a Change Set, but for reasons I won’t get into deep detail here, I also needed to push things in separate distinct “batches”. ECHO THIS IS THE BATCH DEPLOYMENT SCRIPT. PRESS ANY BUTTON TO START! That’s really all there is to it. Took me a little to work out the kinks, but it works slick! The biggest hurdle I had to deal with was in the batch file…to Windows, ANT works like another batch file – and natively, batch files can call other batch files, but they don’t wait for them to finish. The DOS “CALL” command calls the ANT “batch” script but WAITS until it’s complete before continuing. Finally, I directed the output to some local TXT files so I could go back and deal with any errors that came out of an unsuccessful deployment.